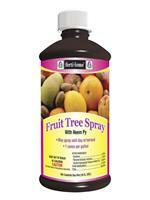 Use Triple Action Plus on Citrus, Fruits, Vegetables & Ornamentals, Shrubs & Flowers. Kills egg, larvae and adult stages of insects including but not limited to: Whiteflies, Aphids, SpiderMmites, Scale, Mealybugs, Beetles, Japanese Beetles, Loopers, Leaf Miners, Leaf Rollers, Armyworms, Webworms, Weevils, Tent Caterpillars, Fungus Gnats, Leafhoppers, Cabbage Worms, Squash Bugs, Squash Vine Borer, Crickets, Ants, Fleas and many other insects. 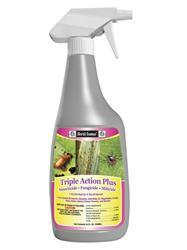 Would you like to see the Triple Action Plus Label? How about the Triple Action Plus MSDS sheet?